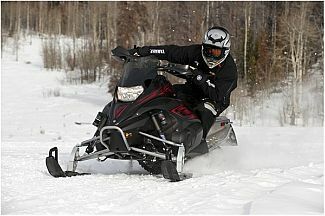 Invert Sports offers tow away or on site delivery snowmobile rentals. If picking up your rental we are located in Orem, Utah where you can take them anywhere you would like for as long as you need them. Utah is known for having the greatest snow on earth. There are so many snowmobile trails in close proximity to almost any city in northern and central Utah to explore. 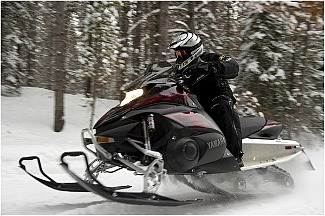 Enjoy Utah snowmobile rentals with hundreds of groomed and untouched snowmobile trails. You will experience a white winter wonderland of unparalleled beauty in Utah’s back-country. Invert Sports snowmobile rentals are New 2018 Yamaha Nitro MTX four stroke machines with reverse, offering the most worry free rentals available. These performance snowmobile machine rentals are powerful and fun! Our machines are ideal for single riders; however depending on the riders size two people may be able to ride on the machines. Snowmobile rentals can be picked up from our location, or we can deliver them to your desired spot for an additional charge. We offer guided snowmobile tours which will take you through the Uinta National Forest near Heber City, Utah. The groomed trails top out at 10,000 feet through dense forest and wind through gentle meadows, the perfect winter play ground. Groomed snowmobile trails are the perfect place for groups of any size to have a blast on a guided or self guided snowmobile adventure. More than 200 scenic miles of groomed trail start right at our door. Our guides will also go to other snowmobile riding locations for tours. Guided tours are an additional charge depending on the group size, duration, and amount of snowmobiles required. Please e-mail or call us directly for our snowmobile tour pricing. The over-achieving, quick-revving, high-torque Genesis 130FI engine is the heart of our lightweight, high performance and aggressive FX Nytro model family. It has dominated its class at the Old Forge Shoot-Out 2 years straight, claiming top horsepower in its class in the independent, third-party dyno testing. The advanced fuel injection keeps the 3-cylinder engine running at maximum 150 horsepower-class performance.